If you want to record video footage that looks good and really captures the sights and sounds you come across on a trip – you need to pack for it. At the same time you need to make sure that you only stick to the essentials, and don’t weigh yourself down unnecessarily. Light and portable cameras that can record high quality videos are normally best. While a mirrorless camera is a good option, in general you shouldn’t feel pressured to buy a new camera and can just take any that you already own. 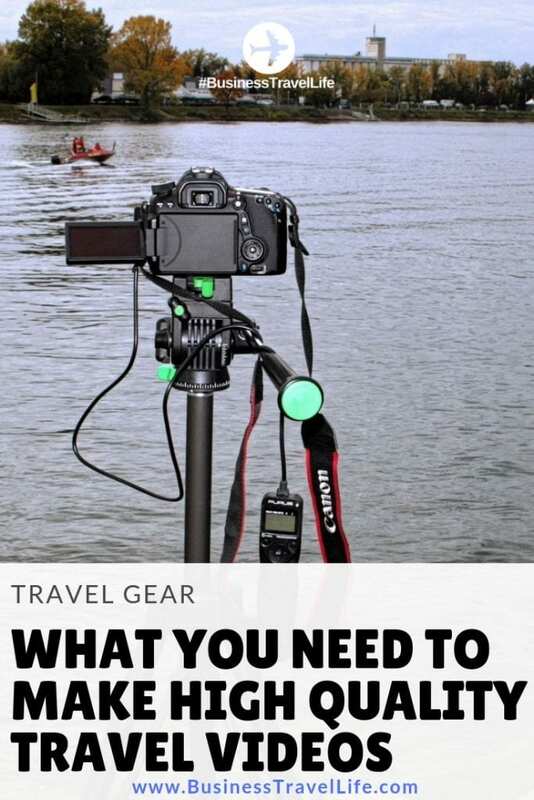 Travel tripods are a good idea as they will let you stabilize your camera and keep it steady. The tripod head will allow you to pan the video evenly while you record as well. Handheld gimbal stabilizers are a great tool to record videos while you’re moving and will use various methods to keep your camera level at all times. The effectiveness of gimbals can vary however, and the best ones tend to be expensive. External microphones are essential if you plan on recording high quality audio along with your video. The type of microphone is important as well, and a shotgun microphone can help you to record audio from a specific area, while a lavalier microphone is more suited to record commentary. External camera lights will let you record in low-light conditions far more effectively. The type of light that you need will depend on the video that you’re recording, but in general having a basic external camera light will be a big upgrade on the normal built-in flash. Spare batteries will ensure that you don’t run out of power midway through a long day spent recording videos. Ideally you should have enough batteries that you can comfortably swap them out as required until you get the chance to charge them fully. Additional storage in the form of SD or microSD cards will always be helpful and if you’re recording high quality videos you’re likely to need them. It helps to also have an external hard drive along that you can transfer your videos to periodically. Cleaning kit and equipment for your camera is something that you can’t do without, and you’ll want to clean it regularly throughout your trip. The last thing that you want is for the footage that you record to be ruined by the fact that there was dust or dirt stuck on the lens. Light, padded and waterproof bag to carry your gear around on a day to day basis won’t go amiss. It should fit everything that you’re bringing along with you comfortably, and keep it shielded from the elements at the same time. Aside from that an optional but useful addition is a decent laptop or tablet. It will allow you to manage your video footage after a day of recording, upload some of it to the cloud if you want to, and even make some edits and alterations on the spot. For example you could use Movavi Video Editor to try to fix and salvage any videos that may be problematic, improve their quality, or even filters for video. The only other piece of equipment that you may want to take with you are lenses. While you may not want to pack your entire collection, a few options that are versatile and multi-purpose or specifically suited to the type of videos you want to record would be best. At the end of the day the gear listed above should ensure that you’re prepared to record excellent videos – and not excessively weighed down either. If necessary you can cut down the weight that you’re carrying around further by eliminating some of the situational items listed should you feel the need. What is your favorite gear to record videos during travel? Please comment below!